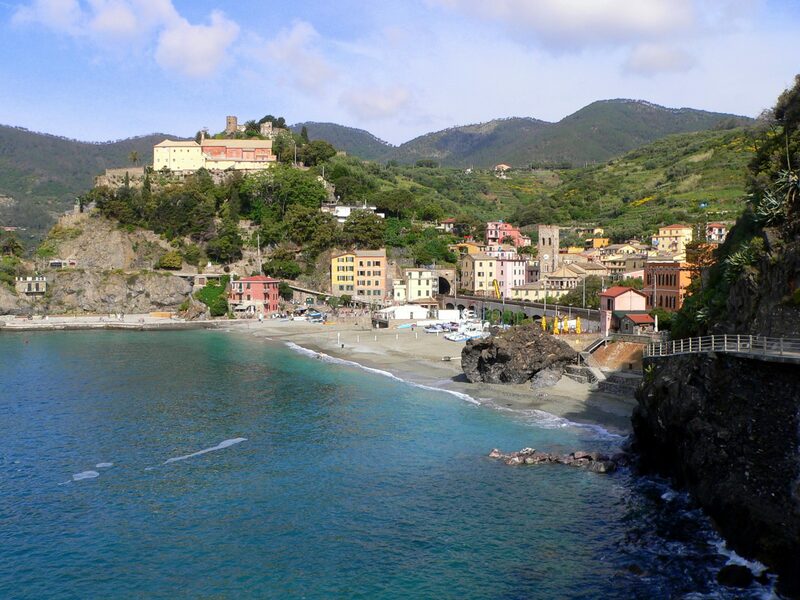 Liguria: Experience the UNESCO World Heritage Sites! Do you know that Italy dominates the World Heritage Sites list? In fact, according to UNESCO, we have the largest number of World “cultural” and “natural” heritage sites. In Liguria we have two places which are inscribed on this important list. I suggest to you to put them on your list of places to visit on your next Italian holidays. 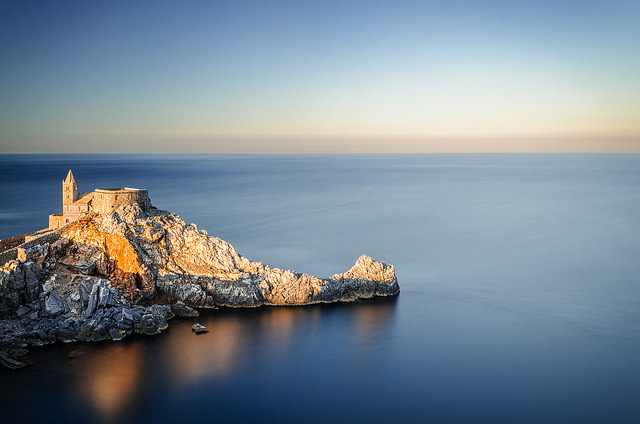 This corner of paradise along the coast between the Cinque Terre and Portovenere has been listed in the Unesco Heritage sites since 1997. 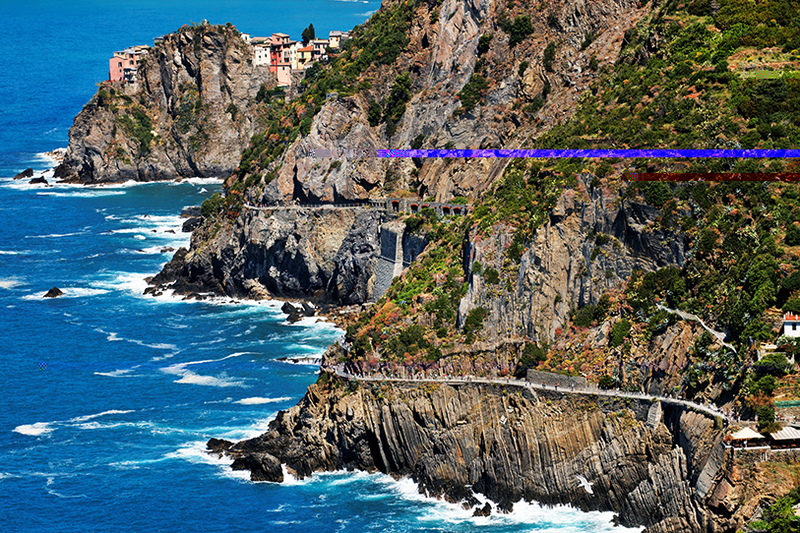 The scenic landscape of Cinque Terre is rich of cultural value. The five small colored villages are harmoniously set like gems in a panorama unique in the whole World. In fact, Cinque Terre landscape, made of scenic and breathtaking steep terraces sloping down into the Mediterranean sea, is an architectural “monument” made by the hard work of the local people over the centuries, which I define heroes! 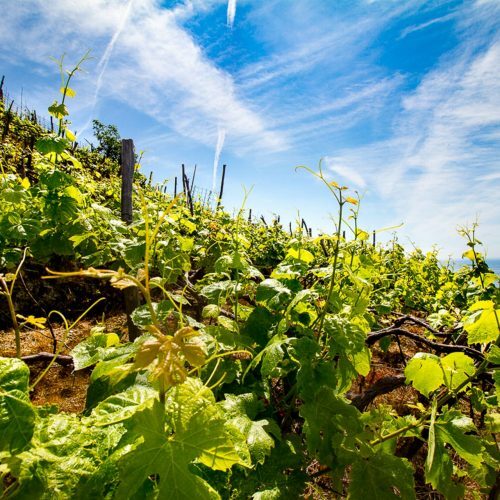 The 7000 km of dry stone walling are cultivated as vineyards and some of them are terrific! One of our local producer love to welcome guests to his vineyards and let them taste his wines and enjoy the beauty of Cinque Terre. Mary, one of our guests, took a picture from this place. 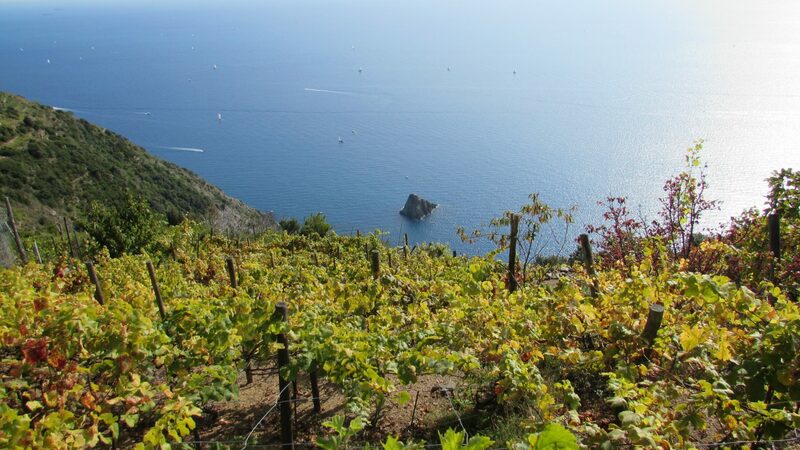 Cinque Terre vineyards. A fragile territory built with years of hard work. Certainly, one of the best way to enjoy Cinque Terre Heritage site is hiking along the paths. I think in this way you can really experience the soul of these places. 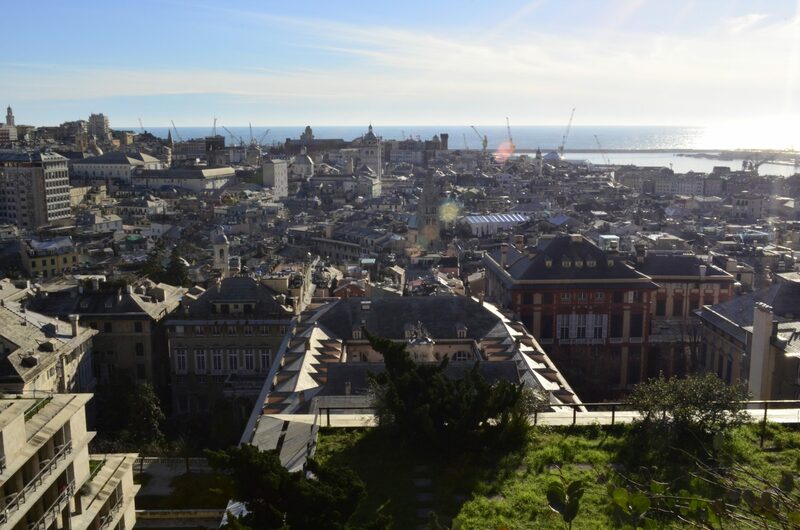 When you walk on the paths, take your time and enjoy the great panoramas offered to your eyes. The routes among terraced vineyards, olive trees, broom, agaves, natural herb plants and perfume will capture you! Portovenere and the three islands of Palmaria, Tino and Tinetto is the other location which is part of Liguria Unesco World Heritage Sites. Portovenere is a perfect union between mother nature and architecture. I love the array of colored houses and narrow alleys of this village, but most of all I could stay hours looking at the panoramic view from San Pietro Church! 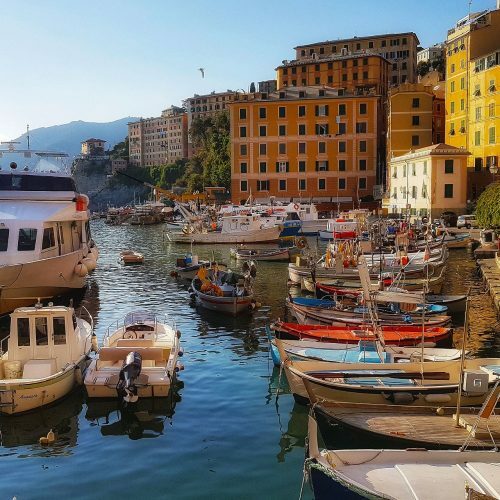 Just in front of Portovenere, the islands of Palmaria, Tino and Tinetto are a must for any traveler seeking an authentic experience. I love to discover them by private boat and swim in its crystalline waters at sunset! Genoa historical town has a place which I’m sure it surprises you! The magnificent palaces of Via Garibaldi are so grand and rich of architectural details that you can’t miss to see. The Rolli palaces are a series of noble elegant palaces of Renaissance and Baroque style built from the 16th to 18th century and listed in the “citizen register” (the rolli) which were chosen as the lodging for illustrious guest on State visits. This splendid architectural treasure is listed in the Unesco World Heritage List from 2006. A visit with a local tour guide is an experience not to be missed!